Correction: John Pane of RAND wrote to correct the assumption I made in the next to last paragraph below that Teach to One was one of the programs that were evaluated in the RAND report on Next Generation Learning Challenge schools. He also critiqued my summary of those results, in a letter posted in full here. On February 28, Digital Learning day. Last week, two different studies came out about the results of the well-known blended learning program originally called “School of One” and now called “Teach to One”, created and sold to schools by an organization named New Classrooms. If you want to cut to the chase, you can read about the contrasting analyses in Education Week, Chalkbeat or the Hechinger Report. If you want to know about the history of this much-hyped program that was first developed for use in NYC public schools and uses software programs and algorithms to deliver instruction, read on here. It provides lessons in how insistent the promoters of online learning have hyped programs with little or no evidence behind them, how negative evaluations have been suppressed or discounted and how conflicts of interest have been ignored – all in the service of convincing schools to adopt these programs far and wide. According to his Linked-in profile, Joel Rose was a Teach for America corps member for three years, until he was hired to work at the headquarters of Edison charter schools in New York City, a national for-profit chain of charters headquartered in NYC. By 2003, he was running a division of Edison called Newton Learning that provided tutoring to students through the supplementary services program (SES) that was included in No Child Left Behind. NCLB required public schools with low test scores to pay for their students to receive tutoring services from private companies. In 2003 alone, Newton Learning was paid more than $5 million by the NYC Department of Education for its tutoring services. According to NCLB, parents of students at these schools were supposed to be provided with the choice of tutoring companies. Yet in 2005, the NY Post found that in some NYC schools, principals and parent coordinators were incentivized to recruit students for Newton. In one Bronx school, as a result, the school distributed flyers to parents saying “Newton Learning is your best SES choice. The Newton Learning Adventure offers FUN and EXCITING activity-based lessons.” Some parents were told by their schools that the only choice was for them to enroll their children in Newton Learning, or they would receive no tutoring at all. In March 2006, the NYC Special Investigator of Schools Richard Condon released a report, revealing how several SES providers, including Newton Learning, had engaged in a number of “questionable business practices” in their dealings with DOE officials, parents and students. These companies had been involved in the “misappropriation and misuse of confidential student information and the offering of self- serving incentive programs”, and Newton staff had been improperly allowed entry into schools to directly solicit students. In one case, a principal permitted Newton reps to perform skits in front of students during class time to promote their services. Newton staff had also improperly obtained student contact information from school staff and had offered financial incentives to principals and teachers if their students signed up. They had promised gifts to students in exchange for enrolling, including CD players and $100 gift cards. This sort of chicanery continued even after DOE told Newton to stop these practices, according to Condon’s report. Newton also had failed to carry out required fingerprinting and background checks for the staff they hired as tutors. According to the DOE rules, Newton and other tutoring companies could use classroom space in the public schools free of charge, if granted a “permit” by the school’s principal. Yet in return, any company was also supposed to give students a 9% reduction in fees. Yet every company which had asked for a waiver from this discount was granted one by David Ross, the head of DOE’s Division of Contracts and Services. (Remember that name, David Ross; it will come up later.) Here’s an article in the NY Times, with more about the special investigator’s findings. Condon’s report and news articles about his findings were apparently ignored by DOE, as shown by the fact that a few months later, in December 2006, Joel Klein hired Chris Cerf, to be his Deputy Chancellor, even though Cerf had led Edison schools during this period. In February 2007, Cerf brought Joel Rose to DOE to be his chief of staff. hired as his chief of staff a former Edison official who ran a tutoring program criticized by investigators who found ''questionable practices'' in the city public schools. 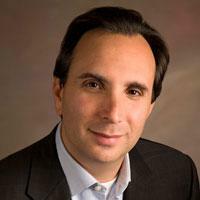 The chief of staff, Joel Rose, was from 2003 until 2006 the general manager of Newton Learning SES, an Edison division established to tutor children under the No Child Left Behind law. Last year, a report by the special commissioner of investigation for the public schools found that Newton had failed to conduct fingerprint and background checks of some workers, offered students gift certificates for attending tutoring sessions, and directly solicited students after being warned not to by the Education Department. After leaving Newton, Mr. Rose served as a consultant to the Education Department. The program, conducted in a converted library, consists mainly of students working individually or in small groups on laptop computers to complete math lessons in the form of quizzes, games and worksheets. Each student must take a quiz at the end of each day; the results are fed into a computer program to determine whether they will move on to a new topic the next day. By the following spring, the program had expanded to a full-time math program in MS 131. In March 2010, I visited the program. 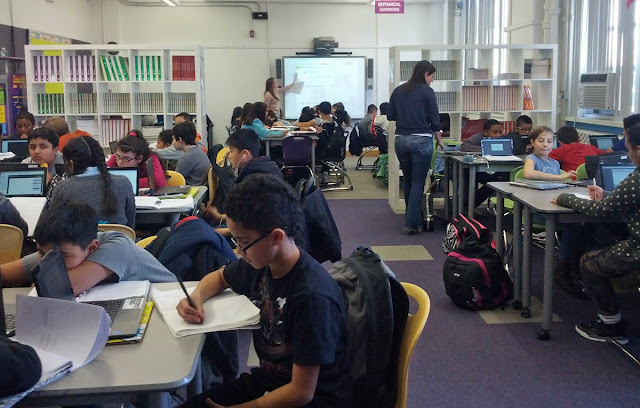 A group of interested observers were invited into the MS 131 library, where about a hundred 7th and 8th graders were sitting at tables, some in large groups and some in small groups. Many were on computers, responding to various math software programs and playing math games. I watched one girl, with a bored look on her face, taking multiple-choice online assessments, rapidly hitting a, b, c, and d, until she got the answer right, with no one other than me watching to make sure that she was thinking about the problems before responding. Rose said there were usually four certified teachers, two college students, and three high school students to give students help and support, though I didn’t see that many. Each teacher, he explained, was responsible for teaching 25% of math skills. He told us that students could also access “virtual” tutors that students could access online. When I asked him where these virtual tutors were located and what their credentials were, he responded that they were provided by contractors and that he didn’t know what their credentials were. Each student was supposed to receive a different “playlist” of software programs combined with human instruction every day, depending on an algorithm that would crunch their responses to online assessments from the day before. Every twenty minutes or so, the students’ names would appear on a large screen in the room, which told them to change “stations”, theoretically based on what “skills” the algorithm had determined they lacked. What I observed in the room was a mixture of confusion and boredom, like in airports where passengers move through either hurriedly or sit passively, waiting for their flights to depart. The teachers also seemed to me frustrated and rather rushed. Given the twenty-minute shift in positions, there seemed to be little opportunity for students to build the sustained feedback with any teacher or connections with each optimal for real engagement and critical thinking. Joel Rose explained the program to us by saying, “No human being can meet all the needs of students in a class of twenty, so something else has to be done to personalize instruction.” I found his words a bit surprising. Not only were most class sizes much larger than twenty in NYC public schools, but it also was Chancellor Joel Klein’s oft-expressed view at the time that class size didn’t matter if the teacher was sufficiently skilled. 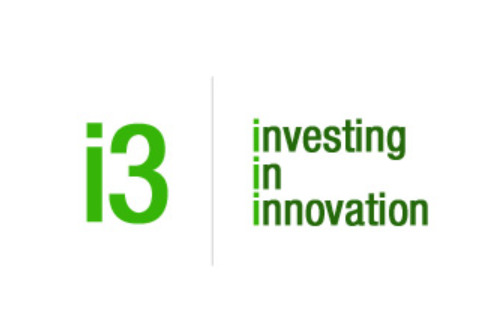 federal government as part of the US Department of Education’s Investing in Innovation (I3) program. This grant was designed to help fund the expansion of the program to three NYC schools: MS 131, the school that I had visited in Chinatown, IS 339 in the Brown, and IS 228 in Brooklyn, and to pay for an independent analysis of its results. Shortly afterward, a NY Post article revealed that the DOE was “slamming the brakes on the planned expansion of their high-profile School of One program -- even though the move puts a $5 million federal grant in jeopardy” because they no longer planned to implement the program as promised in their federal i3 application, presumably because of disappointing results. Yet in January 2012, the Panel for Educational Policy approved a new contract with New Classrooms, granting Rose’s company an exclusive three-year right to run his program at DOE. The contract was approved anyway by the city’s Conflict of Interest board, according to a letter obtained by the press, as long as Rose agreed to play no role in the operation of his program in NYC schools . At that point, there were no staff members listed on the website other than Rose and Rush. When Manhattan borough panel member Patrick Sullivan asked DOE officials how many other employees the firm had, DOE said they didn’t know. Sullivan called this proposal “One of the more bizarre and suspicious things I've seen from DOE” . According to the proposal that was approved by the Panel, DOE officials claimed that this agreement would benefit them, because New Classrooms would grant them a “royalty free, perpetual, non-exclusive license” to use the program at any NYC school that adopted it. In exchange, New Classrooms was granted a “license to the DOE’s existing software and related intellectual property for the School of One,” even though the system was developed with millions of dollars in city funds while Rose worked at Tweed. After the vote, a spokesman for NYC Controller John Liu was quoted in the Daily News saying, “This is exactly the type of thing that raises eyebrows and causes people to question” the DOE. Students who came to SO1 with low prior performance were exposed to approximately twice as many below-grade-level skills, compared to those who came with higher performance levels from prior grades. … However, these students mastered less than 15 percent of the skills to which they were exposed (as measured by SO1’s daily assessments), compared to approximately 85 percent mastery for students who entered with higher prior performance. This finding may be counter to SO1’s theory of action, which suggests that all students should achieve a high level of mastery if they are exposed to instructional material whose difficulty aligns with their current knowledge and skills. This report was released with no fanfare and went unnoticed for a few months until I happened to find it on the Research Alliance website. In Sept 2012, the Daily News reported on the results of the evaluation, the fact that two of the three NYC schools that had initially tried School of One had already dropped it, as well as the fact that the city had already spent $9 million on it. I expressed different views in Huffington Post, contrasting the null results with the huge hype that had been used to publicize it before it had even been tried as a full-time program in any school. Though only one NYC school used the program in 2011-2012, IS 228 in Brooklyn, the following year, five more NYC schools picked it up, though one of these schools, dropped it after one year. Since that time, the number of NYC schools using the program has varied from two to six per year. In apparent violation of the terms of the initial agreement, which promised that NYC would retain a “royalty free, perpetual, non-exclusive license” for the program, the company charged NYC schools for its use. In September 2014, as reported by the Daily News, the PEP approved a no-bid contract for the 2014-2015 school year for New Classrooms, for up to $420,000. The company would receive nearly $200 per student for the licensing fee: “An estimated 2,220 students will be enrolled in the School of One program at a cost of $420,750 for license fees ($191.25 per student)." Even though these fees violated the terms of the original agreement, David Ross, the DOE head of contracts, advised the PEP to approve the contract, as they did unanimously. Before that time, two more studies of New Classrooms had been released. One in December 2014 was a non-randomized study led by Doug Ready of Teachers College. He analyzed student scores on the MAP exams at seven schools throughout the country that used Teach to One. The students were far more likely to be black, Hispanic, or Asian, and far less likely to be white than the national average, and far more likely to be low-income. Nevertheless, this analysis was displayed prominently on the New Classrooms website for many years and has been repeatedly cited by the program’s boosters. In other words, it was the practice of the US Department of Education to wait until the grantee gave them permission to post the results of these evaluations for the public to see – even though they were bought and paid for by US taxpayers. School of One had no statistically significant effects on student achievement—positive or negative–relative to traditional math instruction. This study was never published on the New Classrooms website nor anywhere else that I have could find until I sent it to Ed Week in August 2016, after an Ed Week reporter reached out to me about an article he was researching on online learning. Meanwhile, the program continued to be widely praised, and in 2014, New Classrooms received yet another i3 grant, this time for three million dollars to expand into five middle schools in Elizabeth NJ. 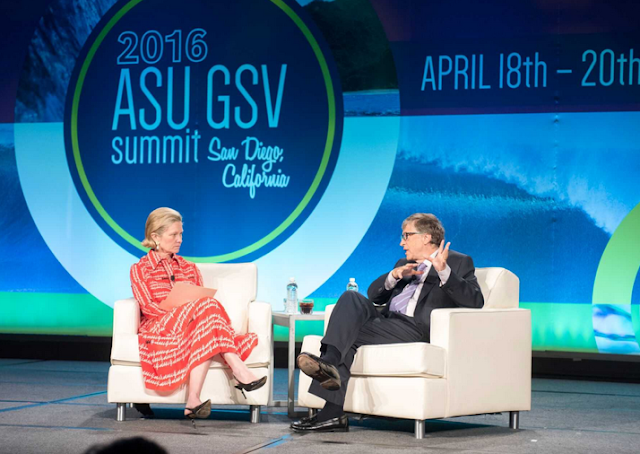 In April 2016, Bill Gates gave the keynote address at the AGU SVU conference. In his speech, he said that the use of software would “make education better” and heralded New Classrooms, describing how it used a sophisticated algorithm, and that “because its personalized, its far more engaging than a typical textbook. ...I think that really does represent the future not only of math, but a lot of subjects.” In the video of his speech, Gates mentioned the non-randomized study from Doug Ready, rather than the experimental Rockoff analysis which had null results. 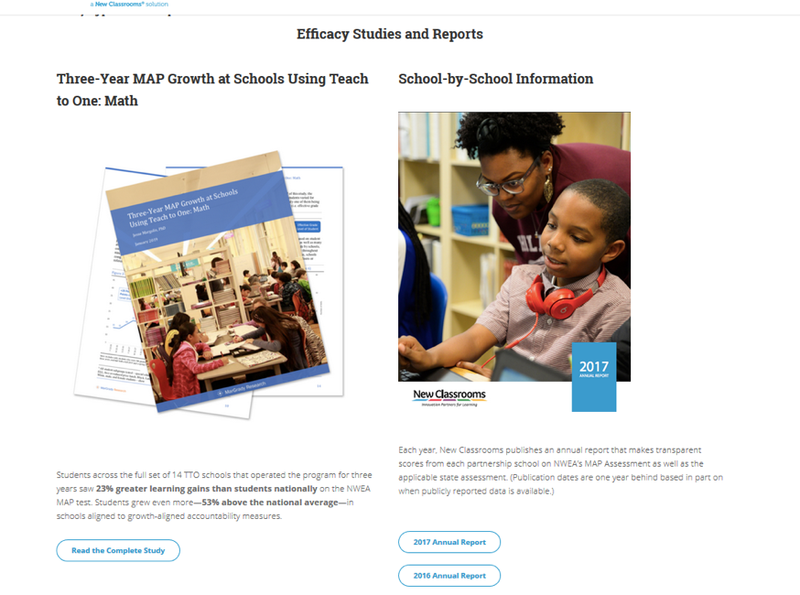 • Overall, across all grades, we found no significant impact of TtO on student mathematics performance as measured by state-mandated assessments (p>.10). However, we found a moderate, marginally significant negative effect for fifth grade in the three schools implementing TtO in that grade (effect size [ES] = -0.371 SDs; p<.10). This first-year study showing no positive impact from the program was not publicized either. Sheetrock had to be torn down, so that multiple classrooms could be converted into one large learning space. The school's wifi network had to be upgraded. Sackey and his team had to rework Hale's entire bell schedule—teachers in the Teach to One program can't plan ahead, because each day's lessons are driven by algorithmic recommendations created the previous evening. By the fall of 2016, New Classrooms had recruited 35 schools across the country, though that year it also attracted rare negative media attention from its implementation in the Mountain View school district in Silicon Valley, where many tech companies are headquartered including Google. The TTO curriculum does not follow a logical pathway, enabling students to build a strong math foundation. TTO removes the thoughtfulness behind math curriculum development, by presenting topics in an illogical and incoherent order. By jumping around among concepts, students fail to make connections between subject areas. Students may “pass” an Exit Slip without the opportunity to build mastery in core middle school math concepts. When topics jump around illogically, parents find themselves forced to teach earlier concepts to which the student was never exposed in order to assist with understanding the concepts at hand. Much of the instruction is quite shallow, in some cases even misleading and factually incorrect. Topics which would normally take days or even weeks of classroom instruction are sometimes completed in a single day… With TTO, students are often tested on materials that they have never been taught, causing anxiety, frustration and dislike for math….One benefit of the TTO program touted by the district is that “The program will reduce the time teachers dedicate to student assessments and allow more direct instructional time with students.” In fact, the students have little contact with teachers. “She was confronted with a skill which appears to be at the high school level and out of sequence with other probability topics in her skill library," the parent said. "She attempted to fail her exit ticket (end-of-day exam) so she would have an opportunity to continue working on the skill. Unfortunately, her random selection of 'D' on the last three questions wound up being correct." When the district conducted a survey, 61% of the Mountain View parents "said they do not believe the program matches the needs of their children," and among their children, there was a 413% increase in the number who said they now hated math as a result. To add insult to injury, parents discovered a non-disparagement clause in the school district’s contract with New Classrooms, which apparently barred school and district officials from criticizing the program. In January 12, it was announced that Mountain View would cease using the Teach to One program immediately, due to "mixed test results". Yet neither the Rockoff study, the first-year null results from Elizabeth NJ, nor the negative reporting form Mountain View apparently affected Bill Gates’ rosy view of the program. In October 2017, the Gates Foundation gave an additional nine million dollars to New Classrooms, its largest grant up to that time, to add to the $10.6 million they had already granted the company between 2011 and 2014. Last week, two more studies were released. One was the long-awaited three-year federally-funded i3 evaluation of the program’s implementation in Elizabeth NJ schools, entitled, “Final Impact Results from the i3 Implementation of Teach to One: Math.” Just as in the first-year study, Doug Ready and his colleagues analyzed the state test scores of sixth, seventh, and eighth graders in the five Elizabeth schools that used the program between 2016 and 2018, as compared to students attending similar schools that did not implement the program during the same period. As in the first-year evaluation, he found no significant differences in math achievement between the students who had used the program and the similar control group. At the same time, another study was released, this one by Jesse Margolis of MarGrady Research, commissioned by the Gates Foundation. This study found substantially larger three-year gains for students at 14 schools across the country who received the program, as compared to the gains of a national group of students, as measured by their MAP scores. While Margolis claimed that the scores of students were analyzed who were enrolled at “at all 14 schools that used TtO from 2015-16 to 2017-18,” (emphasis mine) , there were actually 19 schools that used TtO over that period, drawn from the organization’s annual reports and the New Classroom website via the Wayback Machine for 2017-18. Finally, even if one assumes that there were only fourteen schools that used the program for all three years, this is a self-selected group, because according to the data sources, of the 60 schools that implemented TtO between 2010 and 2018, 36 schools or 60% subsequently dropped it, after an average of only 2.1 years. Eleven schools of those schools used it for one year. Of the NYC schools that have tried Teach to One, seven schools (54%) have since dropped out. Of the six NYC schools that are using it this year, three began implementing the program this year. Thus, any group of schools that retained the program for a full three years is non-random by definition – those that, for whatever reason, were more likely to have found the program successful. The rapid attrition rate explains why there are only 39 schools using Teach to One this school year, according to the New Classrooms website, rather than the 75-100 schools that the organization projected would be using it by this point in its 2014 i3 application . Jesse Margolis, who authored the favorable study commissioned by the Gates Foundation, was a colleague of Joel Rose and Chris Cerf at NYC DOE. He served as the Policy Director of the DOE’s Office of Accountability from September 2004 to August 2009, according to his Linked In profile. He has also produced a favorable if controversial study on the results in the Newark school system during the years that Chris Cerf was Newark’s Superintendent, a study that was commissioned by Cerf and paid for by private funds. At the very bottom of the page there is a footnote in tiny print, entitled “Related studies” with a link to the three-year i3 report for Elizabeth schools and the 2014 report using MAP scores. As before, nowhere can the experimental i3 study of NYC schools be found. Teach to One has been the most praised and promoted online learning program in the nation, aside from the Summit Learning platform, which has had its own serious problems. While Summit has refused to allow any independent evaluations of its efficacy, New Classrooms has suppressed studies with less than stellar results, with the help of the federal government. Yet both Summit and Teach to One, along with other online learning programs, continue to be generously funded and promoted by Gates, Chan-Zuckerberg LLC and other foundations. In April, the Dell Foundation gave New Classrooms another million to expand into high schools. On January 29, New Classrooms announced that Emma Bloomberg had joined its Board of Directors. How many negative evaluations have to be done before billionaires stop funding and helping these companies experiment on children?